Motion Products | MM-3M Series Motorized MicroMini Stages| National Aperture inc.
Low profile with built-in connectivity with all MM-3 MicroMini™ Stages. Travel range 12.7 mm. 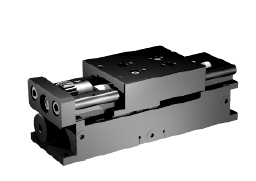 Available in X and XY axis. Option among four gearhead ratios and two screw pitches with built-in connectivity with all MM-3M MicroMini™ Stages. Travel ranges 25.4, 38.1, 50.8 or 63.5 mm. Available in X, XY, XZ and XYZ axis. Option among four gearhead ratios and two screw pitches with built-in connectivity with all MM-3M MicroMini™ Stages. Travel ranges 12.7, 25.4, 38.1, 50.8 or 63.5 mm. Available X axis only. MicroMini™ Motorized Stages: The MM-3M Series offers load capacities of 6-11 oz-in, depending on the model. All offer repeatability of 4 µm (-F model offers 1 µm repeatability with AB Slider) and accuracy of 6 µm/25.4 mm. -ST motor stages have a simple return spring and moving lead screw. Although limited in travel, there is the benefit of built-in anti-backlash. 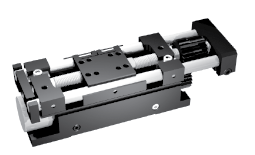 The Folded motor stages have a fixed lead screw passing through a tapped section in the slider.